The recent election victory for the Liberals means that the Ontario College of Trades (OCOT) is here to stay. However, Premier Wynne committed to a special advisory review of the OCOT. Industry leaders are eager to resolve the issues around compulsory certification reviews and the overlap between the College and the trades. To meet the growing demand for construction professionals, we will continue to work with all our partners to promote employment pathways in the skilled trades sector. Later today, we are expecting Premier Wynne to announce her new Cabinet. (See below for more information.) Over the coming weeks, we are also expecting the announcement of the Throne Speech, which will outline the government's agenda and the tabling of the Budget 2014 bill. Premier Wynne has made it clear that the 2014 Budget will be almost identical to the one tabled a few months ago, which planned for about $29 billion in dedicated funding for transportation infrastructure over the next 10 years. Most experts agree that despite some challenges, the Liberal majority will mean stability for our industry for the next four years. 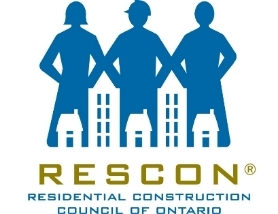 RESCON and its affiliates, Boards, volunteers and staff will continue to focus on the issues of concern to builders including housing policies, infrastructure, mid-rise timber frame construction, WSIB and safety issues, Tarion, Construction Lien Act (Prompt Payment), accessibility, energy efficiency, environmental assessments, labour relations, affordable housing, training and education. All have significant consequences for us and the housing market we serve. Wherever possible, we shall work with like-minded organizations such as the OHBA and BILD to meet our objectives. Below are some news items which I hope you will find helpful. Please continue to share your ideas and comments. Premier Wynne is expected to announce her new Cabinet today. Below is a list of the new Ministers and portfolios based on media reports. Bill Mauro, Natural Resources Minister. A recent report commissioned by the Institute on Municipal Finance and Governance examined how to create the conditions for greater private participation in the supply of affordable housing in Ontario. The research report concluded that there is little new affordable rental supply being built and we need to look at incentives and regulatory changes to address this growing gap. Moreover, to build affordable housing and maintain the existing supply, new solutions and sources of investment are needed – requiring increased private-sector participation. The paper identifies some pathways to private participation and profiles some international case studies. Canada's Hot Housing Market: More Supply is needed. Canada's housing market continues to garner a lot of attention. The market is most hot in Canada's urban centers, with some areas, such as Toronto, performing better than others, like Montreal. RESCON continues to believe that rising prices are in large part due to a lack of supply. This is one of the reasons we continue to push for Building Code changes to allow for the greater use of mid-rise wood frame construction for residential and office buildings. Below are some recent articles and information which you may find interesting. Canadian Association of Accredited Mortgage Professionals (CAAMP) recently published its spring survey and market analysis report last week. Click Here for a copy of the press release and report. Below are the key findings and observations from the report which was written by CAAMP Chief Economist Will Dunning. Dunning repeats his belief that the last round of insured mortgage rule changes – nearly two years old now – were not only unwarranted but that their “impacts……are still playing out in the housing market and they are now starting to effect the general economy”. For homeowners who purchased in the past ten years, 69% think of their home as a place to live while 31% see their home primarily as an investment. This question was new for this survey. CAAMP forecasts that the rate of growth in mortgage credit will slow. Over the past ten years, mortgage credit growth has averaged 8.4% annually, but it has dropped to 5% currently and is forecast to be 4.5% by the end of 2015. Total mortgage credit in Canada at the end of 2015 is forecast to be $1.34 trillion. 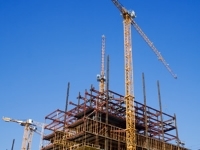 On March 28, 2014 then Ontario Attorney General Madeleine Meilleur announced the launching of an independent review of the Construction Lien Act in response to concerns about Bill 69 (Prompt Payment Act). The first consultation with stakeholders took place on April 28th. It was then interrupted by the election and the dates for its resumption have yet to be set as well as the selection of a Chair and panel review members. Based on media reports, we are expecting Madeleine Meilleur to remain as Ontario's Attorney General, which will promote the continuity of this work. Bill 69 - The Prompt Payment Act was originally introduced as a Private Members Bill by Steven Del Duca, Liberal MPP (now Transportation Minister), and supported by Monte McNaughton, PC MPP, who was also recently reelected. There were serious reservations about Bill 69, which many believed was not clearly researched. Others were concerned about creating another layer of bureaucracy and a process disconnected from existing practices. RESCON will continue to monitor developments regarding the Construction Lien Act and the possible reintroduction of the Prompt Payment Act. A horrifying fall cost a Toronto construction worker his life Monday when he plunged 22 storeys from a downtown highrise, according to Toronto EMS. This is the second time in a year that a construction worker has died on the job in the downtown core. Paramedics pronounced the man dead at the scene at 65 St. Mary St., between Wellesley and Bloor at Bay St. at around 2:30 p.m. The Ministry of Labour will be conducting an investigation. 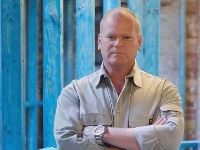 A judge recently dismissed all charges Wednesday against a developer in the March 2011 death of a worker at a Kitchener construction site. John Catunto, 42, of London, Ont., died after being struck by an eight-tonne slab of concrete that was being hoisted by a tower crane at the site of a condominium development at 539 Belmont Ave. Catunto, a father of four, was rigging loads onto the 60-metre crane, which hoisted the loads up to the fifth storey, then the top floor of the building. Click Here for a Final Copy of the Canadian Wood Council Final Report on the Ontario Mid-Rise Stakeholder Consultation. Please see the attached Background Paper with RESCON's Final Comments which was submitted to MMAH. Thanks to all those that provided feedback. Any questions can be directed to Michael Steele. His contact information below. Minister of Employment and Social Development Jason Kenney has announced that the Canadian Apprenticeship Forum (CAF) will receive $453,000 to study labour mobility challenges and issues facing both domestic and foreign-trained apprentices. The project will examine the differences among provincial regulations and training requirements, as well as the obstacles faced by apprentice newcomers with limited experience in the trades. The 41-year-old Mississauga tradesman, a member of the Labourers’ International Union of North America (LiUNA) Local 183, is going public about concerns over a lingering spending scandal at its regional training centres. In a break from union brotherhood ranks, Panacos is the lone signatory on an open letter pushing LiUNA to release the findings of what he calls a hidden investigation into alleged improprieties involving the centre’s finances. Buying a condo doesn’t mean you have to sit out the eco movement and accept the standard concrete box. You can do better than that, and save money. Some condos going up today are creating the highest level of environmental and sustainable standards. These condo developments are future-focused and help support healthier lifestyles. Click Here for the full National Post article.